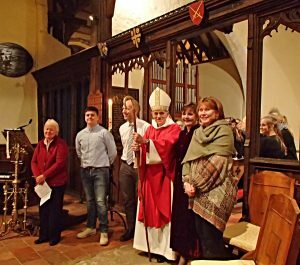 At confirmation we make the declaration of the Christian Faith, which was said on our behalf by our parents and Godparents at our baptism (Christening), for ourselves. We receive the laying on of hands from the Bishop, and prayer for the Holy Spirit to strengthen us in our Christian journey. 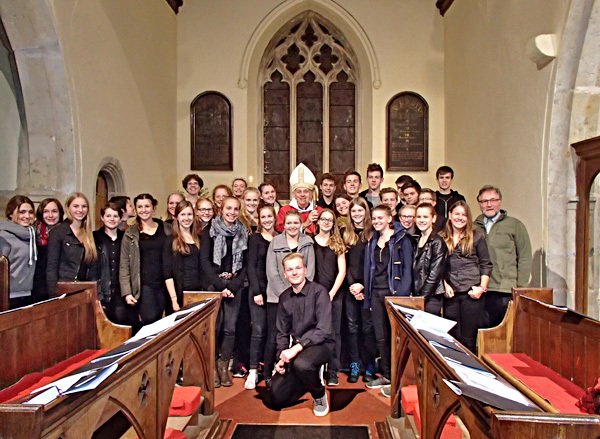 Confirmation normally takes place twice a year in Canterbury Cathedral and twice locally within our Deanery. If you would like to be confirmed or would like to know more about Confirmation, please contact the Rev’d Tricia Fogden. At our Confirmation service in 2015 in St Peter & St Paul Appledore, Bishop Trevor confirmed three candidates from our churches. 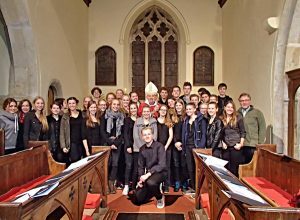 We were also delighted to welcome The Rev’d Hans Hentschel from Bramsche, West Germany and his Youth Choir who provided the music for the service.